I’ve written before about the Golden Age of travel, when getting somewhere, anywhere, meant a trip full of promise, adventure and excitement. It’s hard to imagine these days, but going places used to require lots of planning, not an insignificant amount of cash, and an equivalent amount of time. Long before Steve Martin and John Candy highlighted the perils (perhaps every peril) of travel in the John Hughes movies called Planes, Trains and Autombiles (you can see the hilarious trailer here), transportation companies the world over used the concept of romance to sell voyages. It didn’t matter if you were taking the train to see grandmother, or a boat to travel around the world, it was the glamour of getting away that was most often featured on posters from Brussels to Boston. We adore this Massonet poster for the Belgian railroads: instead of highlighting larger cities, Massonet focuses instead on the great Belgian forests through which the train traverses. 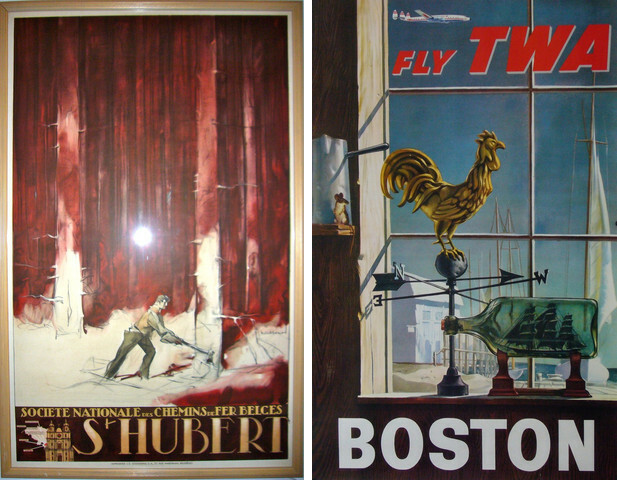 And the TWA poster? We love everything about it: the schooner in the background, the teeny tiny little mouse, the weather wane – it’s all perfectly, Boston! In the mid-1950s, the American Export Lines decided to mix business and pleasure – kind of. Their brilliant idea was to take a ship, and use half for cargo and half for passengers. (A little of this, a little of that …). Not quite what the Go Gos had in mind when they put together their pop hit Vacation (check the hair! ), but not at all a bad idea for a company who wanted to amortize the fact that they had a ship crossing the Atlantic anyway… a couple of stewards, bump up the food quality, and hey, it’s a passenger ship. 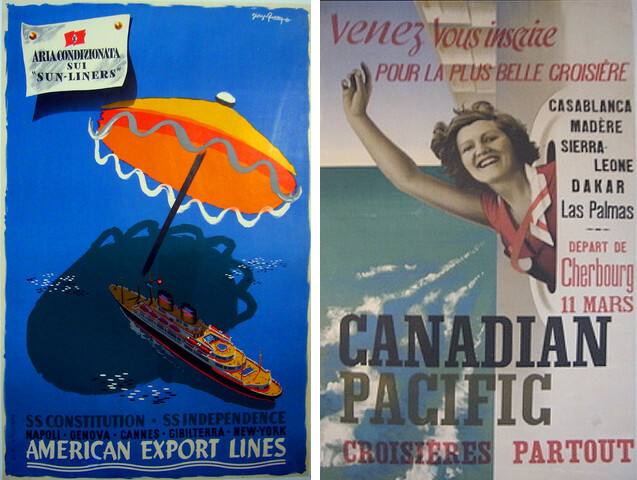 More glamorous ocean travel was sure to be had on a Canadian Pacific ship, but then again, CP was always known for grandeur. 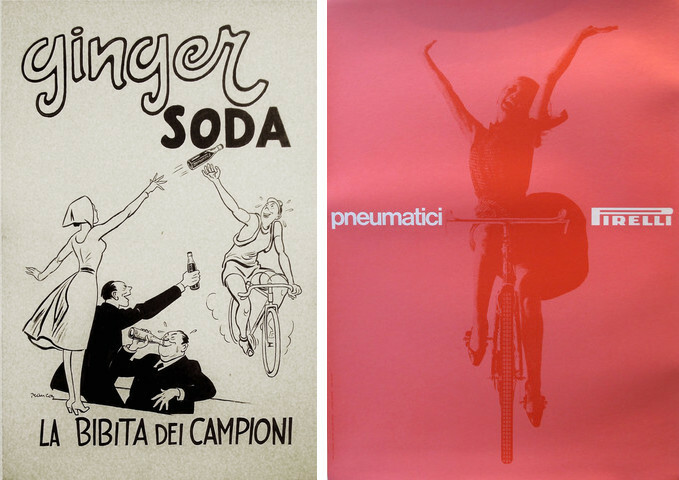 We love both of these Italian babies – the one on the left is from the 1950s, and the Pirelli masterpiece is from the 60’s. Next It’s Montreal. February. And it’s snowing. AGAIN.